Students should have access to Adobe InDesign to follow along with the course. A free trial or any Creative Cloud version will be fine. Previous versions will be fine for most lessons. Students DO NOT need a design background or any other skills related to InDesign before taking this course. 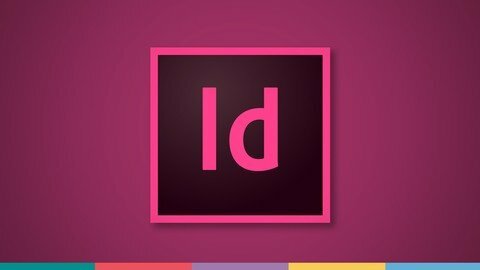 If you’re looking to learn Adobe InDesign from scratch, you’ve come to the right place. ?Perfect for designers, business & entrepreneurs, photographers, authors, and online businesses, this course takes you from beginner to advanced user in just a few hours. Whatever you want to design -?make it stand out from the crowd! Dive right into creating your first project, in section 1 of the course. Download project files and photos to easily follow along.? Learn a professional workflow that makes sense. And many more advanced techniques! Why enroll in this course -?and not another InDesign CC course? Phil Ebiner has created a number of?best-selling?online?courses that students love. He’s partnered with Kurt Anderson, of AdobeMasters, to help you master InDesign. We truly care about you -?yes you, who is reading this right now! We will do whatever we can to make sure you are happy with this course. We always respond to student questions in a timely manner. In our lessons, we get straight to the learning, without a lot of fluff, because we know you’re busy. At the same time, we hope you feel as if you’re learning from a friend, having fun while learning. We are so confident you’ll enjoy this course, that we offer a 100% 30-day money-back guarantee through Udemy. If you’re not happy with your purchase, we have no problem giving you your money back. We are waiting to help you inside the course! Remember, this is an online course, so you can take it at your own pace. ?Are you busy right now? ?That’s okay. Enroll today, and take the course at your own pace. Thanks so much for your interest in our complete Adobe InDesign course.